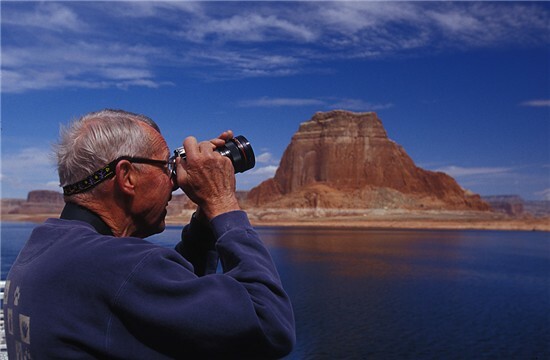 This scholarship is in memory of Frank Howd, a University of Maine Geology Professor for 31 years and winner of numerous local and regional awards for his photography. Frank was also a tremendous athlete, both in football and track. In 1998, he was inducted into the University of Rochester Athletic Hall of Fame. In retirement he had more time to devote to his love of photography. He sought to capture the beauty of textures in the natural environment which he found in his backyard as well as in his travels around the world. He was one of the founding members of the Eastern Maine Camera Club here in Bangor. Frank gave of his skill and passion for photography to many new photographers through the camera club. Frank tragically lost his life in an auto accident in 2007. Donations were made in his memory to establish a scholarship fund for local youth who may be planning a career in photography. Eastern Maine Camera Club is dedicated to continuing this Scholarship Fund, as long as donations and other income will support it. Approximately every one year, one young photographer will be chosen to receive the scholarship of $1500, which may be used at the Maine Media Workshops in Rockport, Maine. If, in any year, the scholarship cannot be awarded for lack of funding, a notice will be placed on this page. The deadline for submitting an application is April 30th of the current calendar year. Applications received after that date will be held for consideration the following year. Click on the link below to download the PDF application that includes instructions.